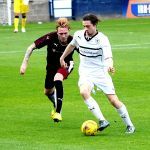 Raith Rovers rain-delayed start to their season got underway on Tuesday evening, when they lost out to an impressive looking Heart of Midlothian side, by two goals to nil. 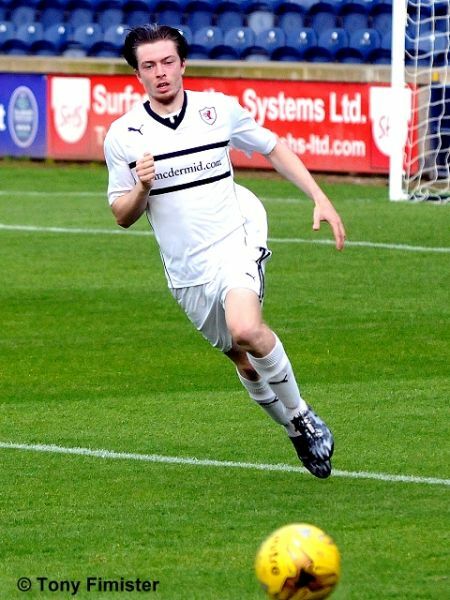 Ray McKinnon’s first ever Raith XI saw five of this summer’s new arrivals in the starting line-up, with Lewis Toshney partnering Kyle Benedictus in the centre of defence, Ryan McCord and James Craigen making their respective bows in midfield, while up front, loan signing Craig Wighton started alongside Lewis Vaughan, and Grant Anderson. 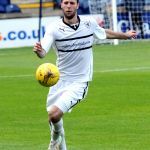 Of the new players, McCord was the first to show his abilities, getting on the ball regularly in the early exchanges, although his chipped through ball in the opening moments, failed to find the run of any Raith attacker. 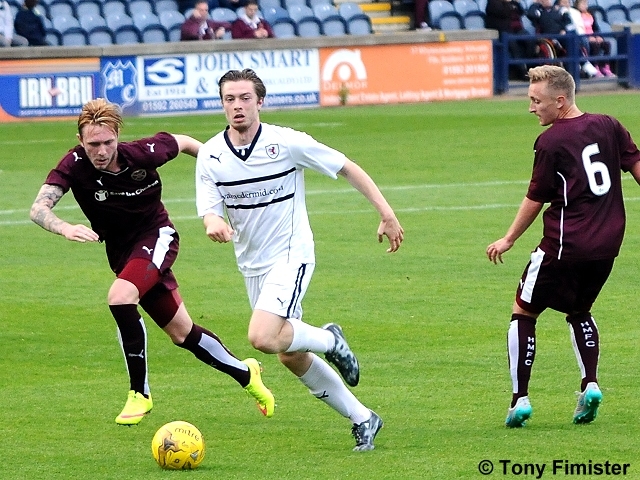 Predictably, with this being Hearts third pre-season fixture, Robbie Neilson’s men looked the slicker and sharper of the two sides, keeping possession well and using the full width of the fresh, verdant park, as they probed for an opening against the new-look Raith back four. They almost took the lead in fortuitous circumstances after four minutes, when a cross from the right-hand-side, found Rory McKeown, whose attempted headed clearance, ricocheted off Benedictus and into Kevin Cuthbert’s arms. They came even closer a moment later, when Gary Oliver’s ball down the line allowed Soufian El Hasanoui to scamper onto it, and his cross from the byline was almost touched in by Delgado from close range. 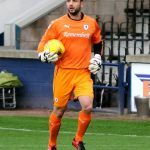 The pressure from Robbie Neilson’s men wasn’t quite incessant, but they continued to fashion the bulk of the game’s chances, and Blazej Augustyn should have done better after ten minutes, winning a header from a set-piece at the back post, but his effort was straight at the Raith ‘keeper. 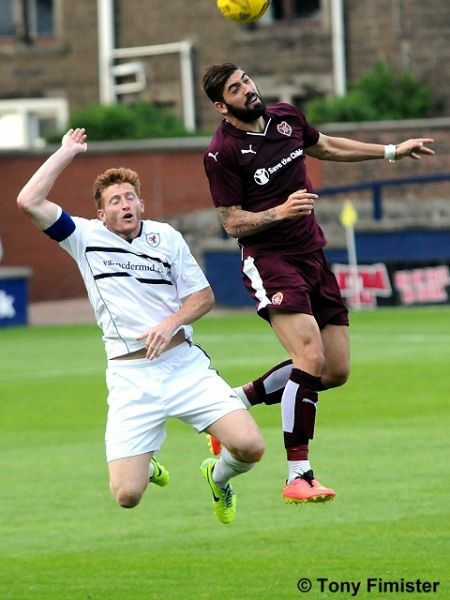 Hearts new Spanish striker, Delgado was again involved in their next effort, picking up possession by the corner flag, before pulling the ball back to Sean McKirdy at the edge of the area, but his effort from 20-yards was trouble-free for custodian Cuthbert. Rovers had looked tidy in possession in the opening 25 minutes, although they’d yet to eke out a chance of note, with their offensive endeavours restricted to a handful of crosses into the area, and a set-piece from Vaughan which crashed into the Hearts wall. 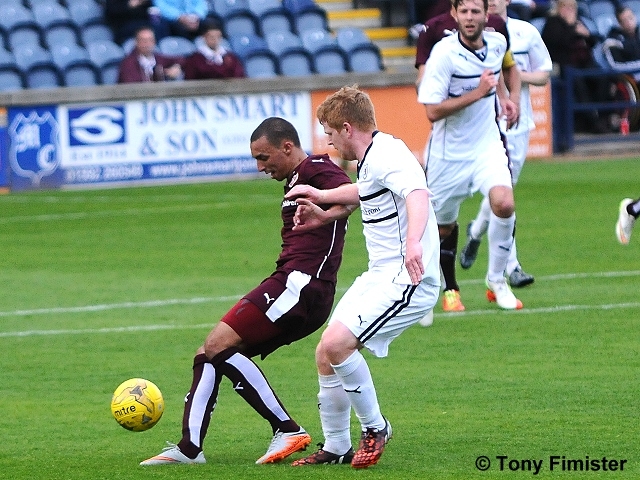 The Gorgie side were inches away from taking the lead just before the half-hour mark. 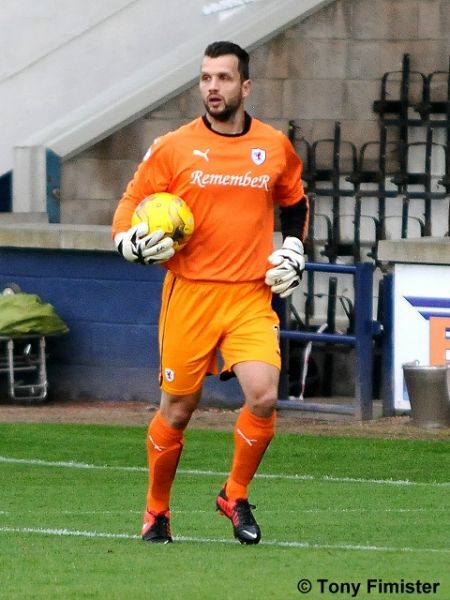 A cross from Raith’s right was prodded away to the edge of the penalty area by Toshney, but only as far as Gary Oliver, who was unlucky to see his fine effort wallop against the post and away from the danger area. 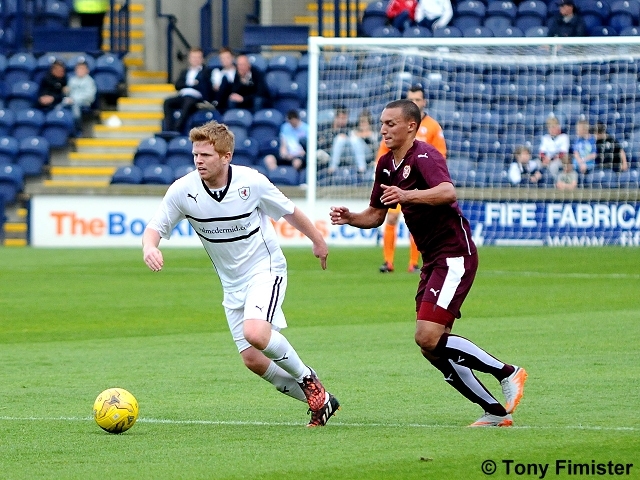 The closing fifteen minutes of the half saw Raith start to get their bearings, with McCord eager to get things moving. 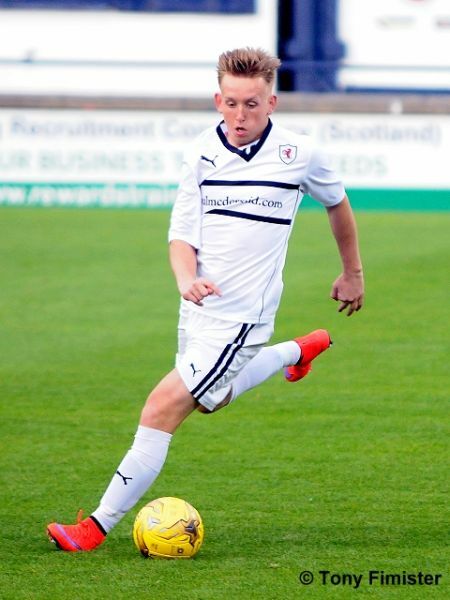 Grant Anderson, playing in far narrower role than usual, was also starting to become more involved, and it was his run which was halted by foul means which presented Raith with their best opportunity of the opening period. Vaughan whipped a low set-piece into the box, but Anderson, perhaps not expecting the ball to get all the way through to him at the back post, failed to make a good connection, and the ball dribbled off him and wide. 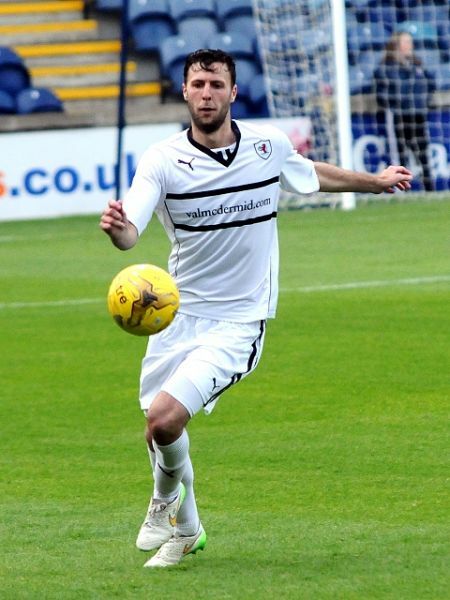 Less than a minute into the second-half, the woodwork again came to Raith’s rescue. Once more, Oliver was the architect, freeing up Callum Paterson on the right, and his firm, low cross was turned onto his own crossbar by Benedictus. 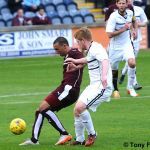 Hearts had started the second-half as if they meant business, and El Hassanoui was next to try his luck. His angled drive was fiercely struck, but straight at Cuthbert who handled it well. Sam Nicholson then came close, but he pulled his shot wide after a gallivanting run from deep. 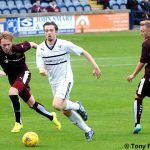 At this stage, a goal for the Jam Tarts looked to be in the offing, but when it did arrive in the 54th minute, it carried a smidgen of bad fortune for McKinnon’s men. 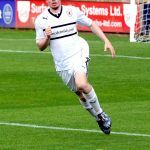 There was no element of luck attached to Oliver’s skilful, tricky run which saw him evade two challenges, but with the edge of the box and Kyle Benedictus fast approaching, his shot cannoned off the Raith defender and looped past Cuthbert. Five minutes later, a whopping 13 substitutions were made at the same time, with Petrie, Bates, Megginson and Matthews entering the fray for Raith, while Hearts swapped nine of their starting line-up. 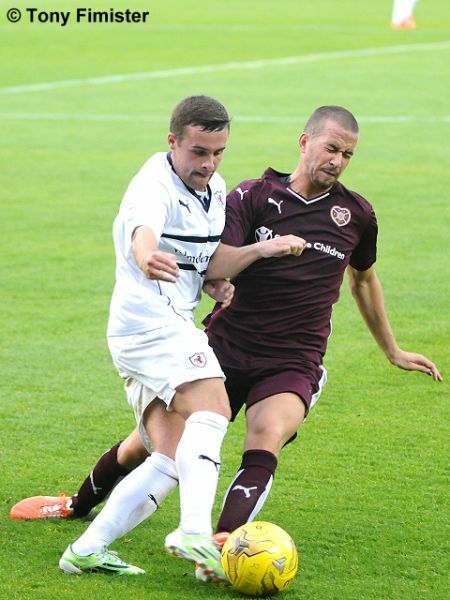 With the withdrawal of Wighton, Vaughan seemed to take up a more central role in proceedings, and it coincided with Raith’s brightest spell in the match, with his slaloming runs stretching the newly installed Hearts defence, whilst Megginson, also in a central position, pressed and harried to good effect. 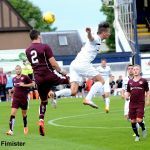 For the first time, Hearts were on the back-foot, and Ross Callachan was almost the beneficiary of a deep cross from Jason Thomson, but it was slightly too far ahead of the midfielder, and the chance went wide. With a little over twenty minutes remaining, Rovers produced their more fluent move of the match, with Vaughan the creator, evading a challenge before slipping possession to Callum Robertson in the penalty area. His touch inside to Megginson was eventually laid off to Craigen, but his shot was superbly blocked from close range. 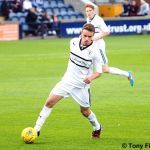 As is normally the case in these situations, the raft of player swaps disrupted the flow of the match, although with ten minutes remaining, and seemingly out of nothing, came the highlight of the evening, although perhaps not from a Raith perspective. 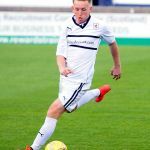 Russell McLean headed the ball into the path of Jamie Walker, and he lashed an excellent first-time shot from 20-yards, over Cuthbert and into the net. 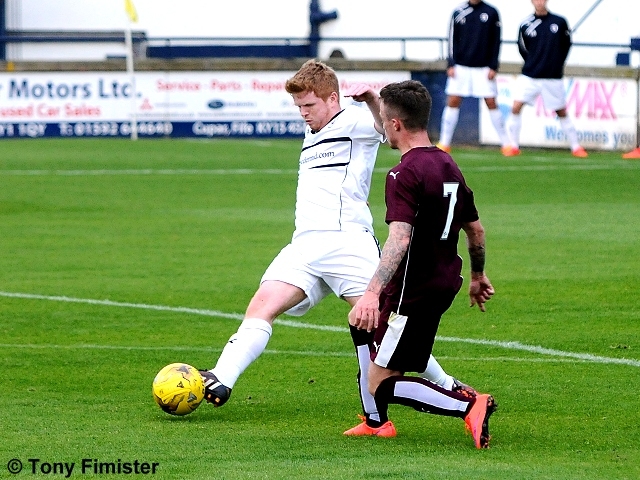 It was the final action of note in a fixture which was a good workout for both sides. 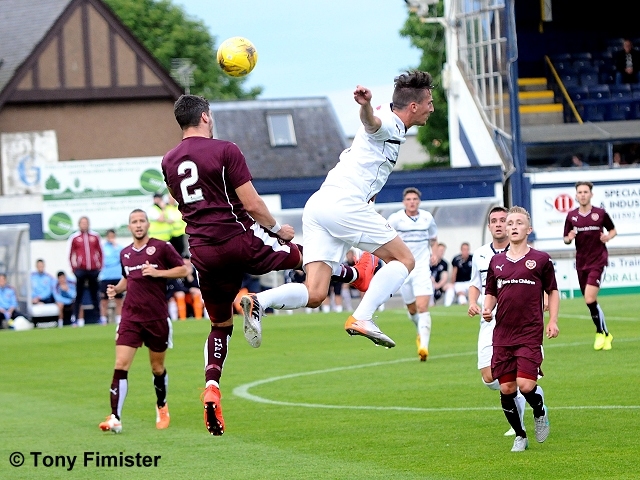 Raith’s next friendly is this Sunday at Stark’s Park against Aberdeen, with kick off at 1pm. Welcome to Starks Park, it's a sunny 16 degrees. We welcome the Championship winners Hearts. 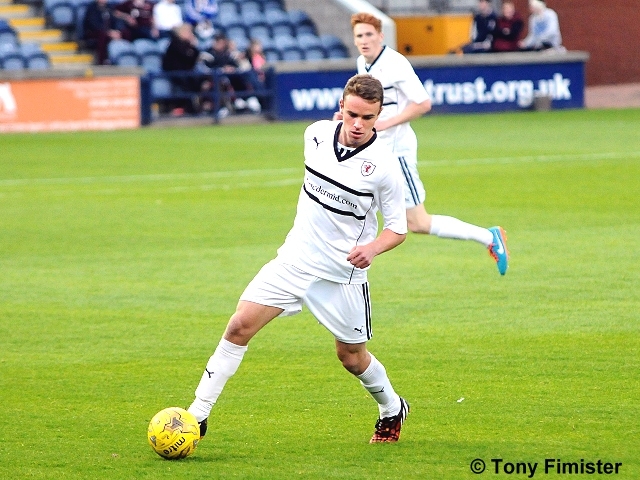 Raith Rovers kick off towards the North Stand. 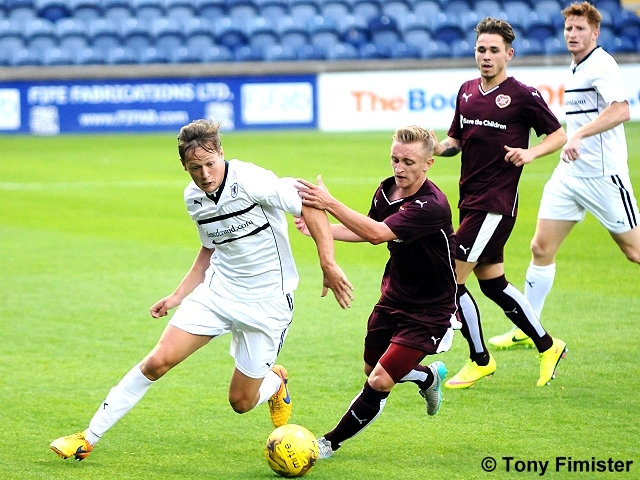 Good passing from McCord and Wighton. Delgado coming close, Cuthbert mopped up his tame shot. El Hasnaoui crosses to that man Delgado who shoots wide. 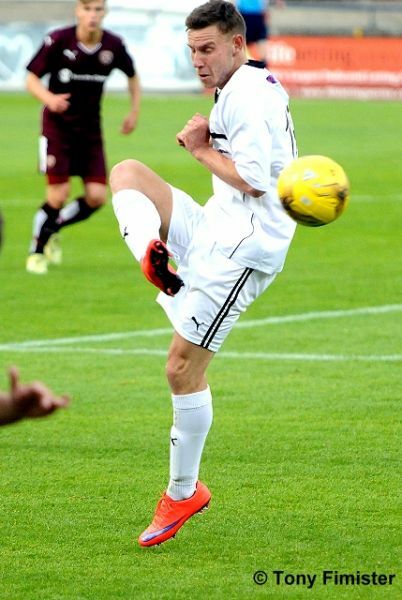 Hearts try the bus stop routine from a free kick, needs more work. McKeown outnumbered , stands his ground and denies Oliver just inside the box. McKeown cutting in, crosses but the ball is too fast for Vaughan. McKirdy watched his shot go narrowly over. Rovers first free kick sees Vaughan hit the wall and the ball spins away. Delgado towers over Toshney but his header goes wide. McKeown alert to the in rushing Oliver and intercepted the ball. Seconds after shouting for a penalty, Oliver hits the upright and the ball goes wide. Craigen heads wide but his effort is flagged offside. The new back four combination look useful. Sweet movement on the deck by Rovers. Anderson coming close from a corner, it was mo of a deflection as the ball was whipped in with pace. Delgado trying from 25 yards but is blocked by Benedictus. Free kick won by Anderson on the right wing. Ball played into box but eventually cleared. Shot by El Hassnaoui well saved by Cuthbert. 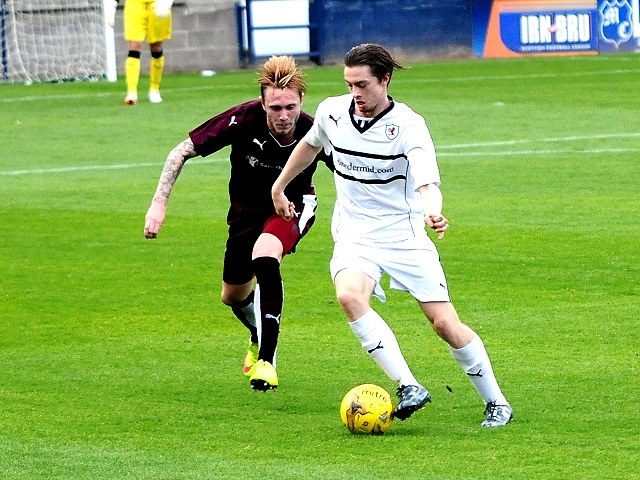 Hearts seeing plenty of the ball at the moment. Multiple (7) substitutions made by Hearts! Petrie playing at left back with McKeown pushed further forward. Good play by rovers, especially Vaughan. 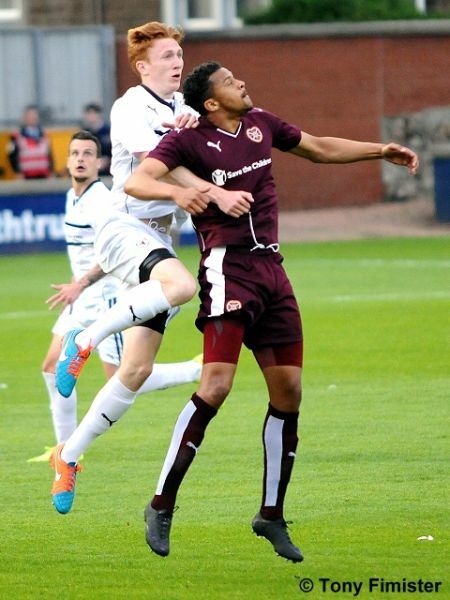 Hearts seem to have gained the upper hand again in terms of passage of play but game is still fairly end to end. Some encouraging performances from what is a very youthful squad. 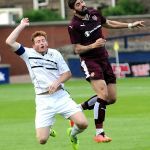 Raith Rovers rain-delayed start to their pre-season campaign will get underway this Tuesday evening, when they welcome last season’s Championship title-winners, Heart of Midlothian to Stark’s Park. 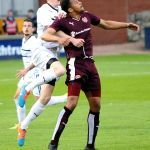 Unlike the home side, Hearts are already up-and-running with regards to their summer campaign, recently returning from a tour of Ireland, where they won both their encounters. 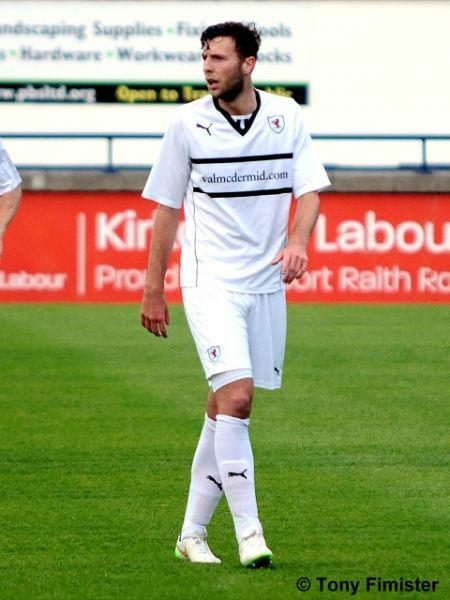 Their opening fixture was last Wednesday against Bohemians at Dalymount Park, and although the match appeared to be drifting to a goalless conclusion, two goals in the final five minutes, from Callum Paterson and Soufian El Hasanoui saw Robbie Neilson’s men complete a 2-0 victory. Their second and final friendly was a more incident packed affair, with Hearts coming out on top by four goals to two against Shelbourne at Tolka Park. 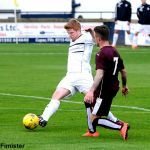 Gary Oliver opened the scoring in the first half, while Sam Nicholson, Jordan McGhee and Juanma sealed the win with second-half efforts. It’s been a summer of reasonable stability for the second-tier champions, with just three new signings added to the squad so far. 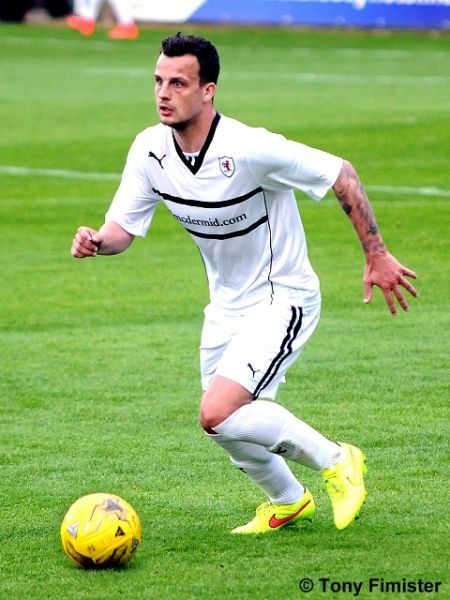 Up front, former Queen of the South forward, Gavin Reilly has signed up and he may be partnered together in the forward line with Juanma, who spent last season with Greek side, AEL Kalloni. 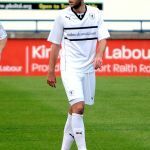 At the back, former Catania and Vicenza central defender, Blazej Augustyn has been acquired from Polish side Gornik Zabrze, and he’ll be expected to fill the void left by the departures of captain, Danny Wilson, who has opted to join Championship favourites Rangers, and Brad McKay, who has left for St. Johnstone. 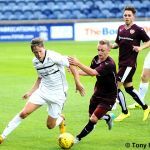 Raith Rovers and Hearts have met in two of the last three pre-seasons, with Hearts winning 3-0 in Laurie Ellis’ testimonial back in 2012, and Hearts again racked up an impressive win the following summer, winning 5-0 in 2013. Tuesday evenings match referee will be Crawford Allan.